Having ran the Great North Run I thought I would never run again. Ever. Not even for a bus. So you can imagine my surprise when I found myself back on the start line this weekend. I don’t really know how it happened – well I do – it was a really clever marketing mail about two weeks ago suggesting I might like to take part in the Kielder 10k. Well it was Kielder and we were going to be up for the weekend as we were both on duty for the Sunday – so I thought why not? Having signed up for this it was then patiently explained to me that this route was basically made up of hills. Lots of hills. This made me a little aprehensive – I know from the GNR they aren’t my strength, but as I had signed up now I decided I just needed to man up and get on with it. So I’ve actually gone and done some hill training – running up and down the banks off the beach, and even going to Hexham to run up Causey Hill ( got lost on the way, ended up running up and down and through the park about 47 times followed by finally finding said hill by the time I was already totally exhausted and deciding by the time I got half way up that it was a stupid idea anyway and going home for a nice cup if tea and a giant sit down). It was ‘only’ 10k do I reckoned if I could do it in comparable time to the GNR I should be looking for a 1.15 finish time. 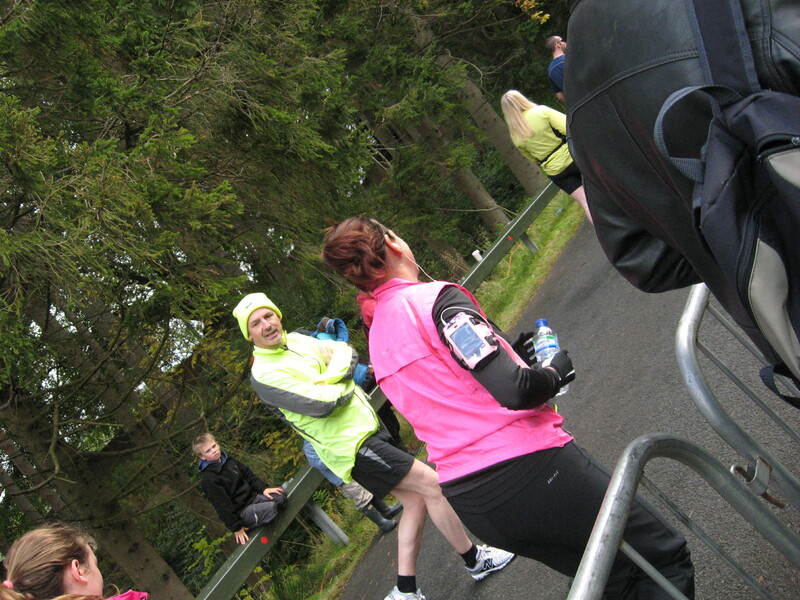 And if it got really tough then I could always get the bus like last years Kielder marathon winner! So Saturday dawned, bright and cool, and I got changed into my kit. The idea was that competitors went a parked in a local village and were then shuttle- bussed to the start at the main visitor centre – Leaplish. But it tuned out that I felt a much better idea would be to save myself the hour or so all of that was going to take and instead abuse my position and get a lift in a rib instead! 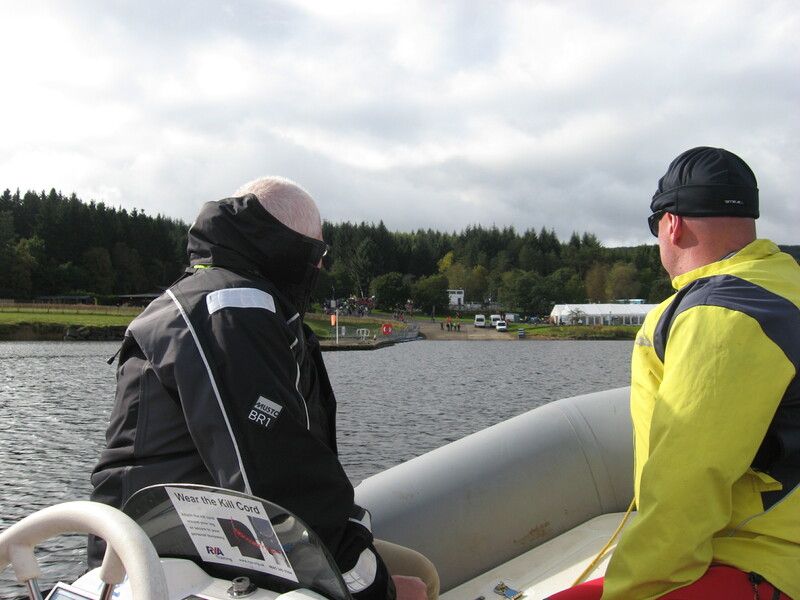 So 500 competitors turned up in buses, and I turned up in running gear and a buoyancy aid. It was a good look. I shouldn’t have been scared of the whole thing, but I was starting to get very nervous. In addition to the 10k there was also the run, bike, run starting at the same time (individual or team, run 11k, bike 26, run 6) so the pace was packed. Lots of people had come with me to cheer me on though which was great – and their plan was to go and sit in the pub while I was running – which kind of felt a little unfair. For the start we all just piled in – I hung back so I was right out of everyone’s way. The waiting was the worst – I was doing it on my own, so you just start to worry you wont cope and wondering how come everyone else knows how to do stretches and stuff. And then we were off. 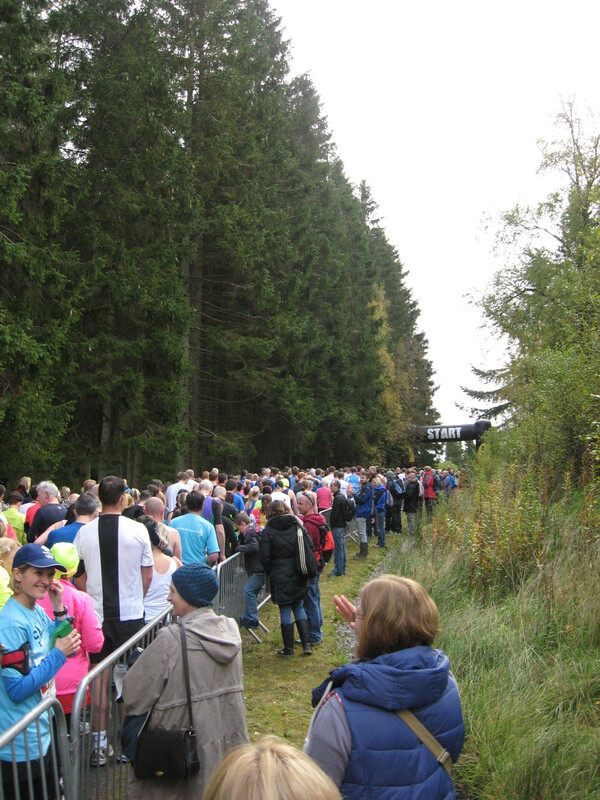 It was very hard to try and get going as the paths are only 2-3 abreast and it turned out that I wasn’t the slowest there – I actually needed to run past some people. And then the hill started. I had been warned that the first mile was rough – straight up and it just kept going. But I was managing. In fact I was still running past people. Actually – some people were walking already! I was a running god!! Until I hit the mile. And it was still going up. I had been lied too! I wasn’t sure how much longer I could keep it up for and I could see more and more people in front of me stopping. I pushed through, got round a corner… And it levelled out. I have never been so pleased to see some flat in my life. It’s amazing what a bit if achievement can do to push you on though – because all of a sudden I wasn’t at the back any more, I wasn’t walking and the kick I got from it was amazing. I started watching my pace and trying to improve – every mile I managed a little faster, overtook a few and started to think that I was actually doing OK. I did have a wobble – it was around the 7-8k when we rounded a corner and I saw the waterski club – and by water that is a LONG way to Leaplish (you tend to have to beat all the way too) and my heart just sank – but before I knew it I was past the 8k mark and realised I’d nearly finished! As I got close to the finish it was clear everyone was stepping up their game – but I didn’t want to push too hard incase I couldn’t finish … I rounded the corner, saw the finish line, heard someone shout my name and just decided to run like billyo – and I did – I took 5 places in that last 200m and sprinted over the finish line. 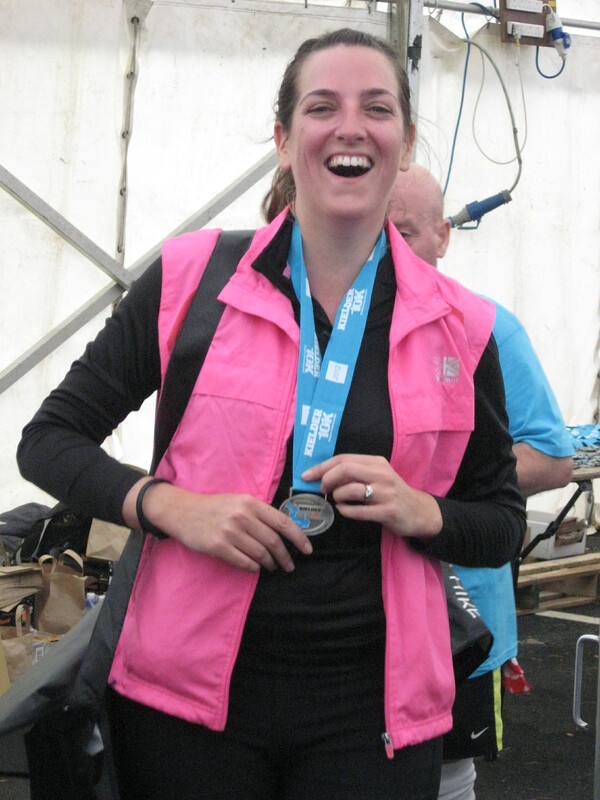 I was thrilled – I felt I’d actually ran a race, with the the GNR I was just happy to get round. And my time? 1.03. Like I said – thrilled. I think it might be the first time ever I have actually enjoyed running. Fantastic effort Vicky. Well done! Amazing, well done my lovely talented friend. Bizarrely you have my friend Sally from our street in one of your photos – so odd when you think how many people were there!